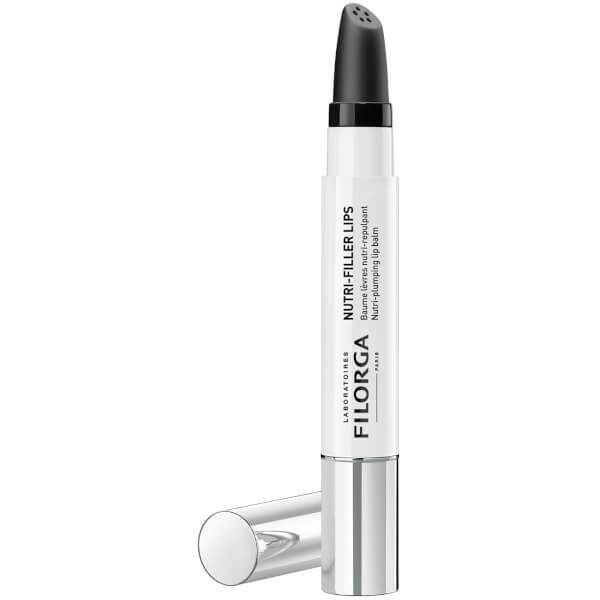 Treat cracked, chapped lips to the benefits of Filorga's Nutri-Filler Lip Balm; a multi-tasking balm-oil that works to nourish, repair and plump your pout. Infused with Shea Butter, Peptides and NCTF® (a cocktail of revitalising active ingredients), the non-sticky formula revives natural lip colour, whilst softening and conditioning dry, damaged lips for long-lasting comfort. Featuring a flexible silicone tip for easy application on-the-move, you can expect a volumised, redefined lip contour. Remove the cap turn the base of the pen/bottle and wait for a few seconds until the balm appears at the tip of the applicator. Apply generously to the lips. Use as often as necessary.